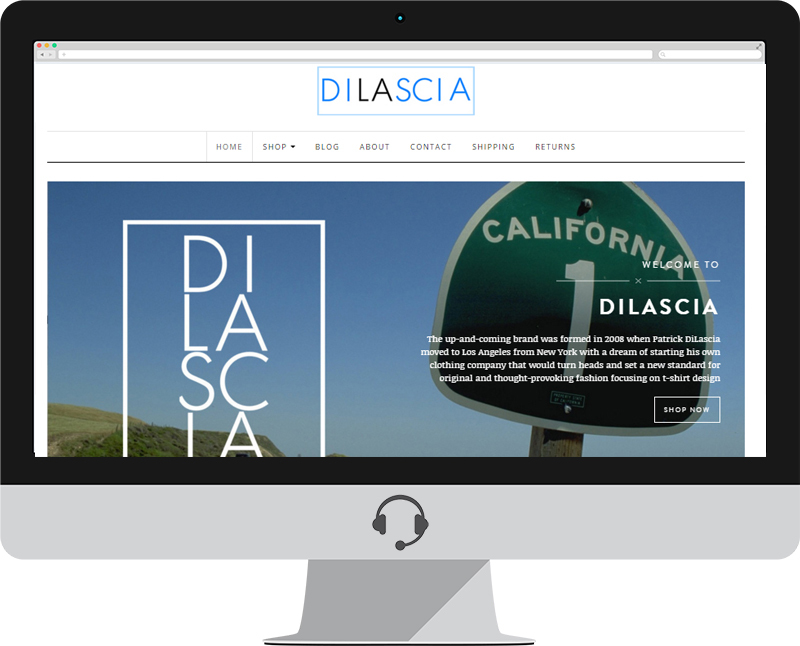 Social Operator were asked by California based fashion company DiLascia to re-design their e-commerce website. DiLascia, the up-and-coming brand worn by celebrities was formed in 2008 when Patrick DiLascia moved to Los Angeles from New York with a dream of starting his own clothing company that would turn heads and set a new standard for original and thought-provoking fashion focusing on t-shirt design. DiLascia remains a true family brand. DiLascia has kept his family close to his business, appointing his sister Kelly DiLascia as Chief Operating Officer and his brother Daniel DiLascia as Chief Financial Officer who lives and operates out of Lakewood Ranch. Together they form a team that unifies teamwork and working cohesively to bring the latest and greatest trends to life in the form of unique and stylish forms of fashion. Social Operator continue to manage and update the site for DiLascia as well as looking after their Social Media channels Facebook, Twitter and Instagram. Social Operator of Lakewood Ranch also look after DiLascia’s e-mail marketing on a regular basis.